What is SAP Simple Logistics? 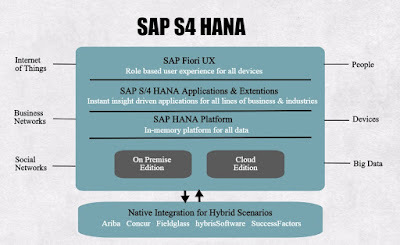 SAP Simple Logistics is also known SAP S/4 HANA Enterprise Management, this name SAP Simple logistics was given when SAP has launched the first version of the SAP S/4 HANA which includes the logistics functionalities. It includes all the fundamental modules supporting SAP ERP Business Suite such as- Material Management, Sourcing and Procurement, Demand Planning, Contract Management, Supply Chain, and Manufacturing. From the release of S/4 HANA, there was a remark about SAP Simple Logistics Training in Pune and SAP Simple Finance Training in Pune. It involves complete modules including SAP SD, SAP MM in extension to the Finance.It is accessible in SAP as the enterprise and product management.